5265 Trumbull Shop Parking Lot is included in the sale. 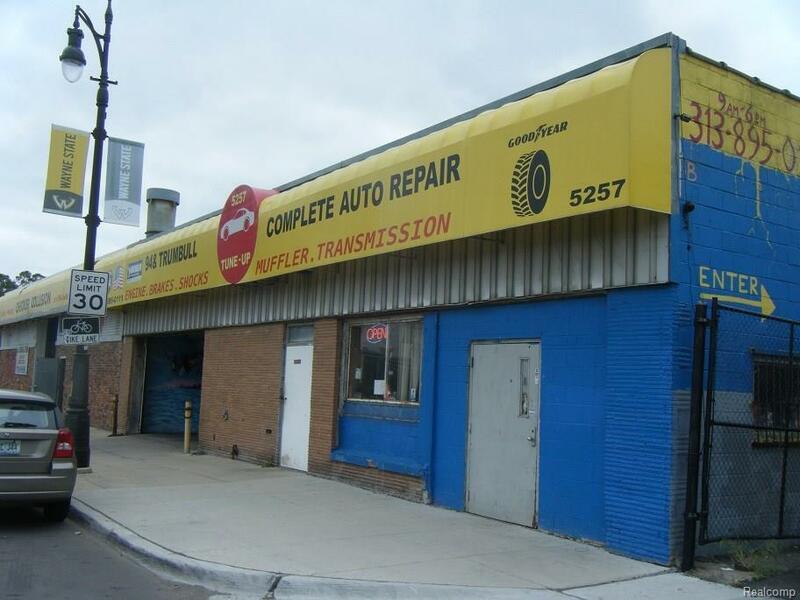 Buy the building and business as is or GREAT REDEVELOPMENT OPPORTUNITY across from Wayne State Adams Field and campus. (Most inventory included)Exclusions-see list in docs. ***DO NOT APPROACH STAFF WITHOUT AN APPOINTMENT***Non Disclosure Agreement Necessary for Income Records. IDX provided courtesy of Realcomp II Ltd., via Cass Realty Inc., Copyright 2019 Realcomp II Ltd. Shareholders. Real Estate listings other than those of Cass Realty Inc. are marked with the Broker Reciprocity logo and detailed information about them includes the name of the listing brokers. Information deemed to be reliable but not guaranteed. Any use of search facilities of data on the site, other than by a consumer looking to purchase real estate, is prohibited. Last updated on 2019-04-19.